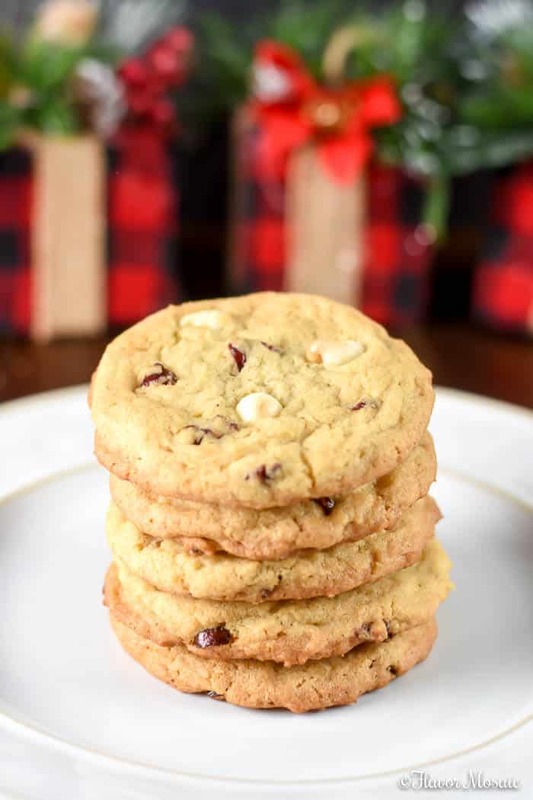 White Chocolate Cranberry Cookies are chewy delicious cookies that use a base recipe for chocolate chip cookies and adds white chocolate chips and cranberries instead. These should definitely be on your holiday baking list. With the cold and rainy weather, it was a day to stay indoors and an excellent time to do some holiday baking. So I turned on the Christmas music and Christmas lights and started baking cookies, including these White Chocolate Cranberry Cookies. 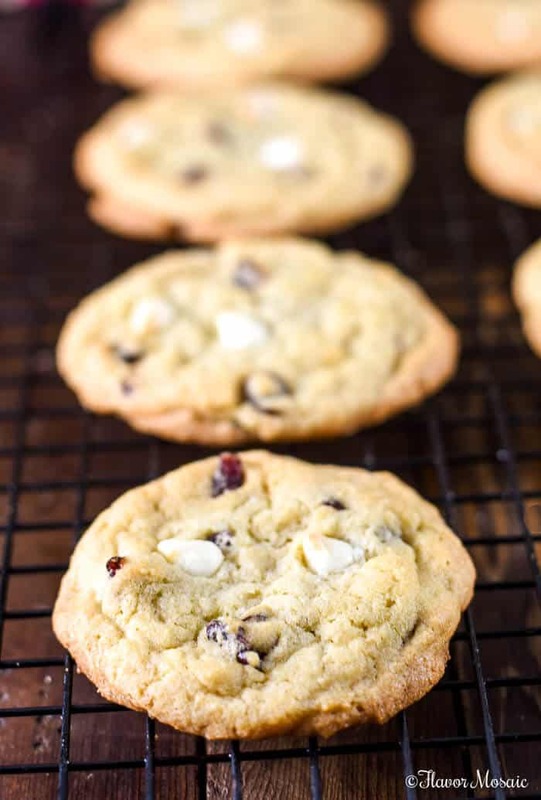 I used the base recipe from my Best Chocolate Chip Cookies recipe and instead of chocolate chips I add white chocolate chips and cranberries. 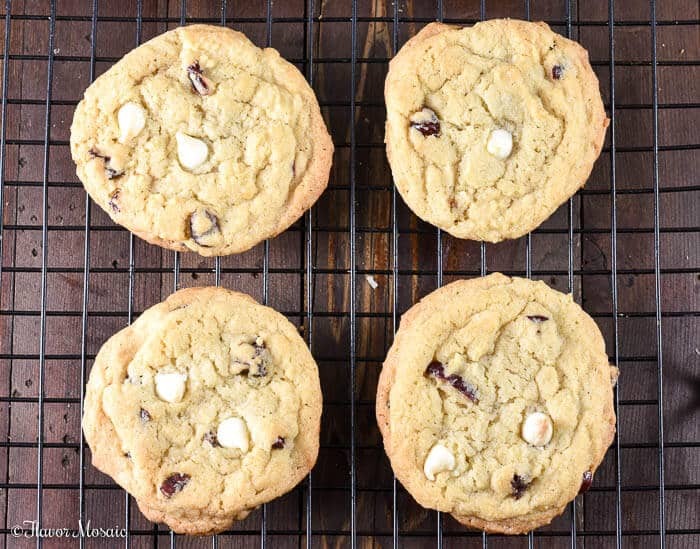 I love this recipe because it makes the best soft and chewy cookies with a delicious flavor. 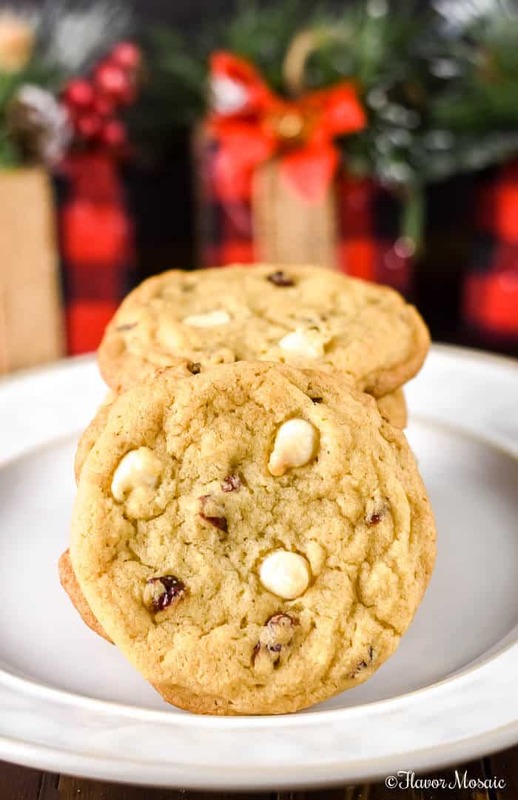 There are a few items to be aware of to ensure that your White Chocolate Cranberry Cookies, or any cookies for that matter, turn out soft and chewy and delicious. Cream of Tartar. The secret to successful cookies is the addition of cream of tartar. It makes the cookies a little thicker and gives them that nice crackly (is that a word) texture on top. Many professional bakers use cream of tartar in their cookies. Fresh Baking Soda. Another tip is to be sure that your baking soda is fresh and not old. Otherwise, you may have flat as pancake cookies. Use Real Butter. Yes. You could use margarine or shortening in the recipe instead of butter, but butter adds the best flavor of the three. Butter will result in the cookies spreading a little more. 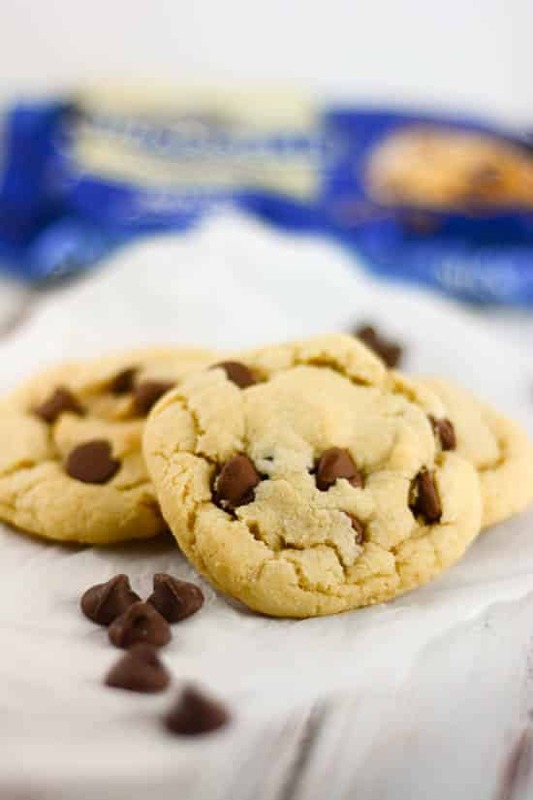 If maintaining the shape of the cookie is more important than the flavor, then you can use shortening to prevent the cookies from spreading. Measure all your ingredients. When cooking savory dishes, you can often get away with estimating the amounts of ingredients. However, when it comes to baking, it is important to measure all your ingredients so that the texture turns out as expected. Once you have all the correct ingredients in all the correct amounts, then you area ready to bake these White Chocolate Cranberry Cookies! They are really easy because they are drop cookies, meaning that you can drop them by the spoonful onto a cookie sheet instead of having to use a cookie cutter or slice the cookies. 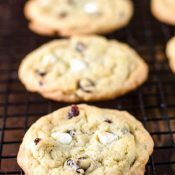 For these White Chocolate Cranberry Cookies, I recommend using a small spring-loaded ice cream scoop or cookie scoop to make consistently nice round cookies. These scoops also help speed up the process of dropping the cookie dough onto the cookie sheet. 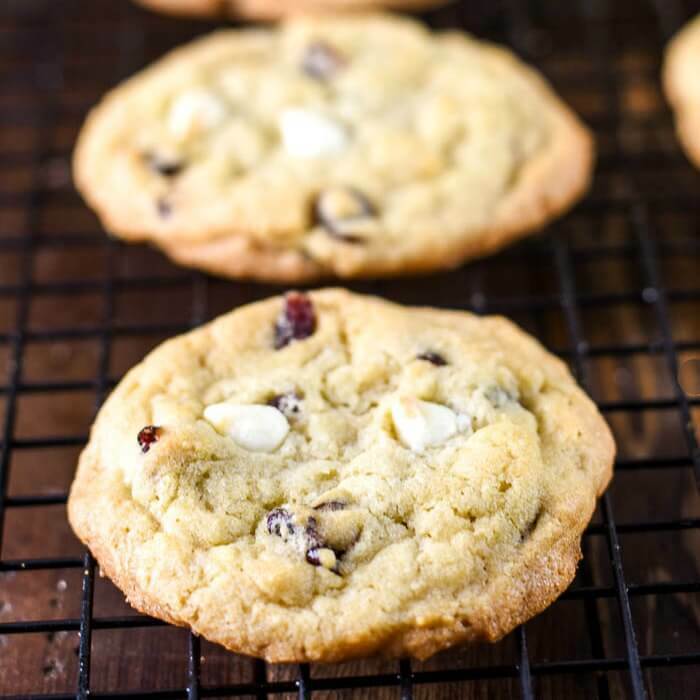 It is your turn to bake these White Chocolate Cranberry Cookies. 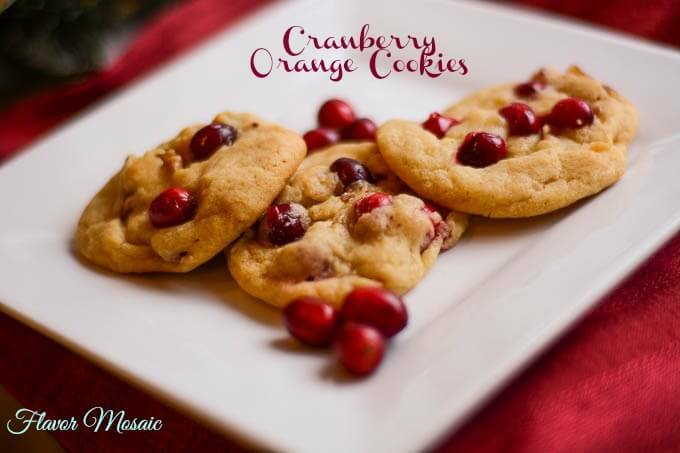 Be sure to swing back by here to let me know how you liked these cookies. Beat together the butter, white sugar, and brown sugar until smooth. Beat in the egg and stir in the vanilla. Dissolve baking soda in hot water. Add to batter along with salt. Stir in flour and cream of tartar and stir. 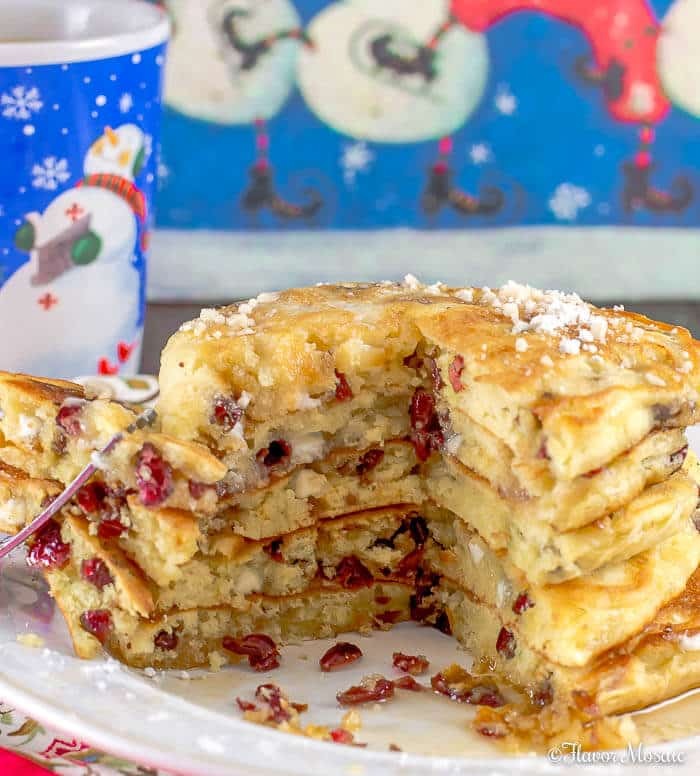 Stir in dried cranberries and white chocolate chips. Drop by large spoonfuls onto cookie sheets. Bake for about 10 minutes in the preheated oven, or until the edges are slightly golden brown. Great combo! These cookies look wonderful, what a great treat! !